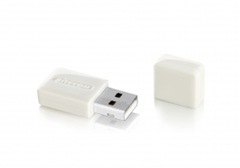 Simply plug this Wireless Micro USB Adapter 300N X2 into your desktop PC or notebook, and you’ll be able to connect this computer to any wireless network. There are 3 revisions of Sitecom WL-352 USB adapter. Please check your WL-352 Hardware Verion(Hardware ID) and select corresponding driver, software. Adaptor does not work under Windows 7 64 bits! @ Henk and it also dosen´t with Windows 7 32 bits! CD did not come with mac osx drivers. managed to find them online and still having issues..
cannot connect to my toshiba laptop..